I've been fishing three times in the past week and I went to two different stretches of river, neither of which I'd fished before. 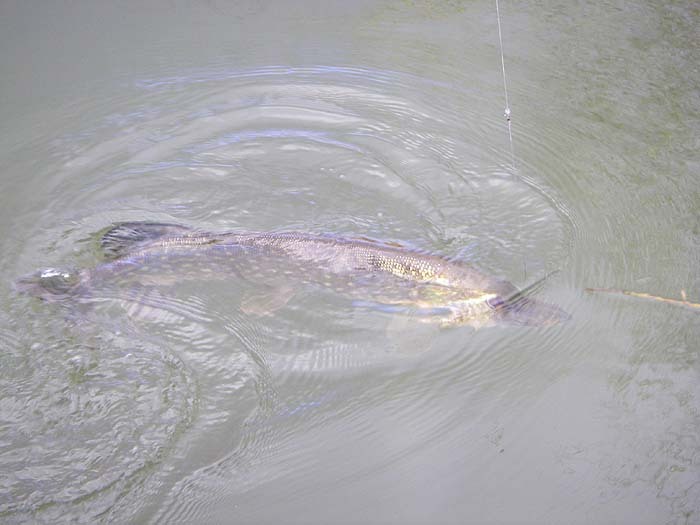 My first session was a complete blank apart from the fact that I met and spoke to two other pike anglers. The first one had two float rods and a plugging rod and had caught a couple of jacks - no surprises in that. The second chap had just fished for twenty minutes, with a big shad, over the section in which I'd just failed to evoke a bite on my spoon. He said that he'd landed a small jack, a ten pounder and lost a 'monster'. 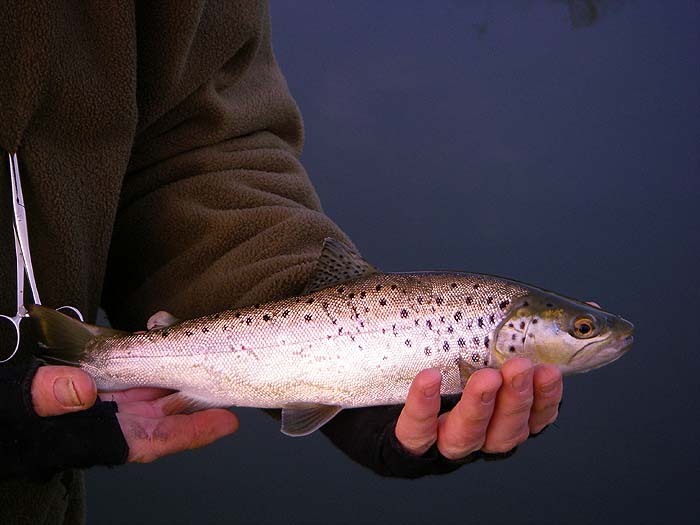 Now 'monsters' are a scarce commodity in the river we were fishing so I was quite interested in his near success. Two days later I went to the section again, this time with some live and dead baits. To cut a long story short I managed only three fish of five to seven pounds - again more or less what I expected, so the 'monster' remains a mystery. That's 'monsters' for you. My third trip was with a pal, Richard Gardiner. Richard and I get together occasionally and he suggested that we tried a stretch that he knew quite well and on which he'd had good fish in previous years. We started fishing on a wide, slow flowing section that Richard regarded as a 'hot spot'. Richard used a small silver Euro Vibe type lure and I was fishing with a little, shallow diving plug - we were both hoping for big perch I think. Richard was the first to hook up and, to our surprise landed a trout. We fished on upstream and Richard's next fish was a small jack. 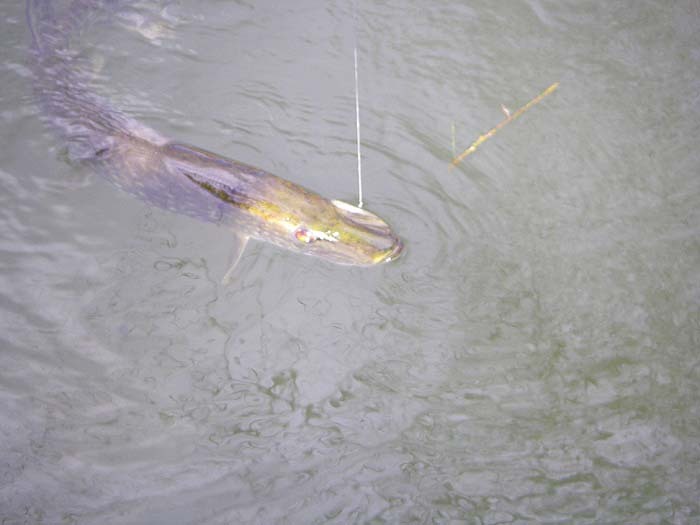 By now I had got the message about my plug (too small not deep enough) and I switched to a Bulldawg in hope of a pike. 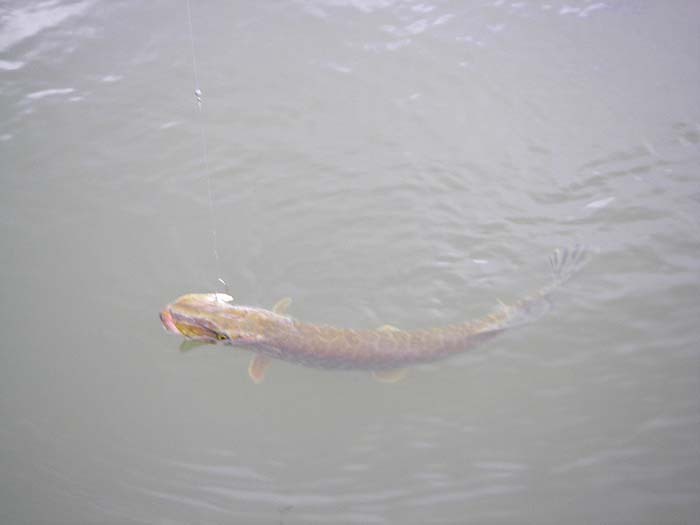 It worked and before long I was playing a decent pike (not a 'monster' though). We tramped back down to where we started. By now Richard was fishing with a deeper diving plug and I was still using the soft plastic lure. 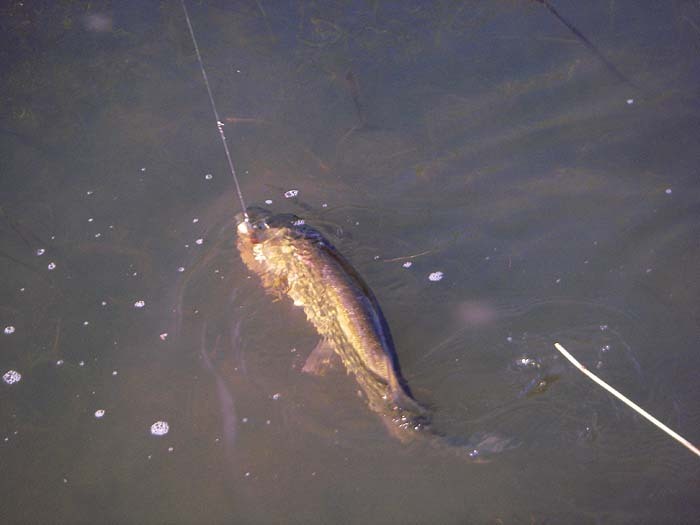 I was soon into my second fish, not quite as big as the first, then a decent pike swirled at Richard's plug right on the surface. After he'd had another go he invited me to try for it. 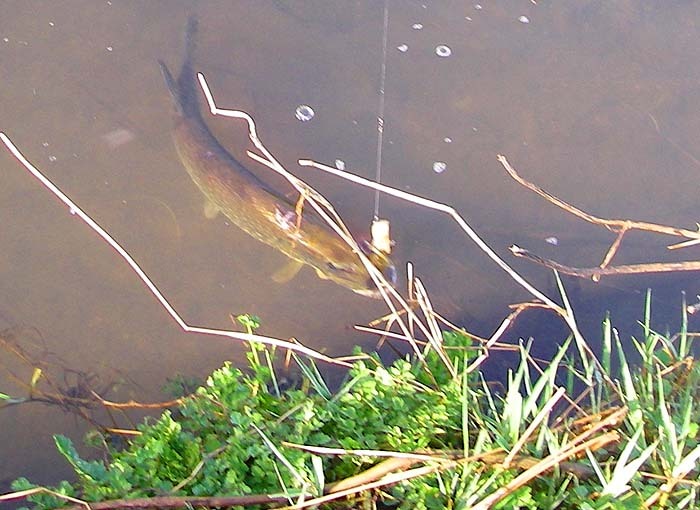 Second cast I felt a knock and then a few metres closer the pike grabbed the lure and promptly let go again. That was the last we saw of it. - another not a 'monster'.